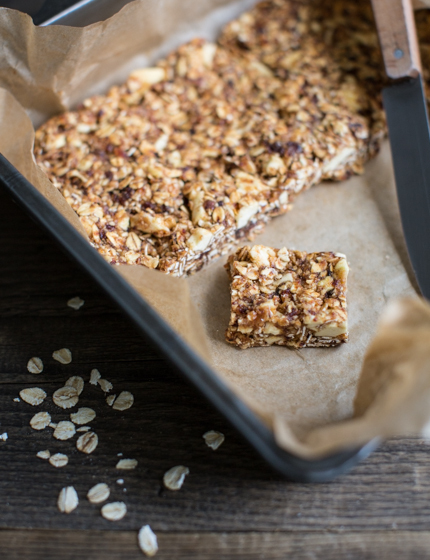 Sometimes, when I skip breakfast, I snack on a muesli bar with my mid-morning coffee. I love how it instantly calms any grumbling belly and gives me energy for a few more hours. 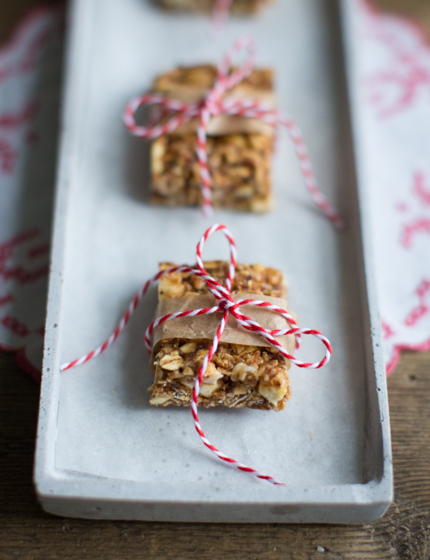 Then one day I thought to myself, why not make the muesli bar myself and throw in all the stuff I really love? I had some leftover prunes and apple rings in my cupboard, as well as an open jar of peanut butter. 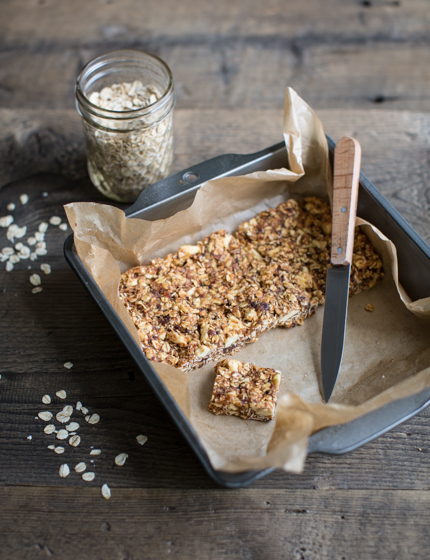 And they proved to be a brilliant base for this simple granola bar recipe. Feel free to play around with the flavours: You can for example replace the prunes with dates, which will give it a mellower flavour, use dried currants or apricots instead of the apple rings or add powdered ginger instead of cinnamon. 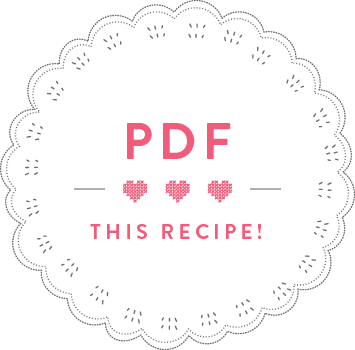 As for the peanut butter: any nut butter will do in this recipe! Why not try almond or walnut butter next time?! 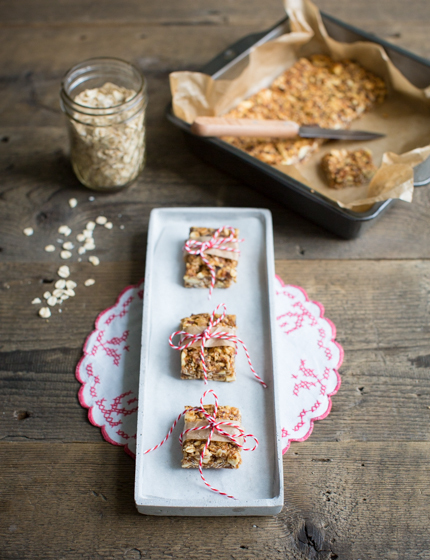 So many variations for one great granola bar recipe! 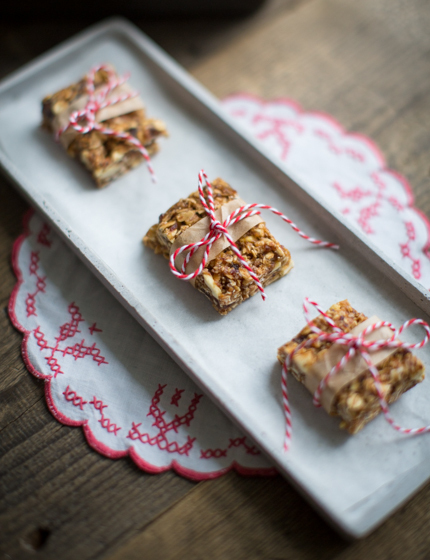 The only thing I’d say is that you should keep these granola bars in the fridge as they otherwise become quite soft. Still, if you want to take them to school or work, just wrap them in some parchment paper so they don’t stick to everything else in your bag. I made these granola squares at the Foire Agricole in Ettelbruck in the Sou Schmaacht Letzebuerg tent. More info here. 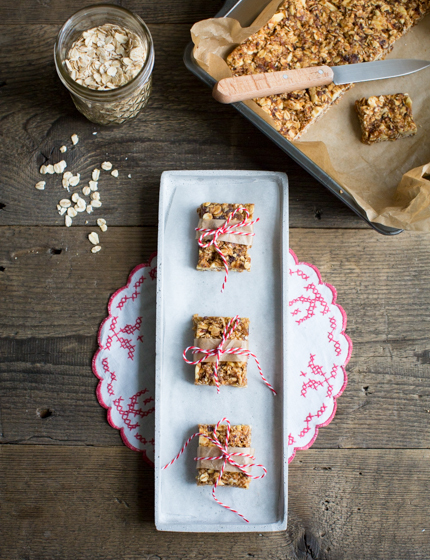 Lay out the spelt flakes or oats onto a baking tray lined with baking paper and bake for 15 minutes in the preheated oven until they start turning golden. Put the prunes into a food processor and whizz into a paste. 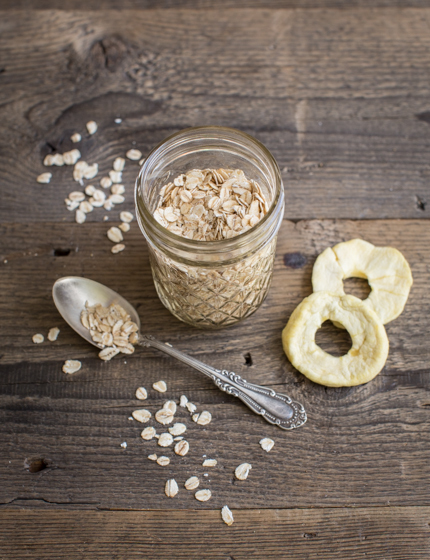 Cut the apple rings into small pieces and add with the spelt flakes or oats to the prunes in the food processor. Melt the honey, peanut butter and cinnamon in a small saucepan and add to the food processor. Whizz everything in the food processor so that it comes together. Line a 20x20cm baking dish with baking paper. Put the granola mix into the tin and flatten. Cover with cling film and refrigerate for at least 20 minutes before serving, so that the mass can firm up. Cut into squares before serving. These are best served cold and keep in the fridge for a week.